The NEW staff canteen at Terminal 1, Singapore Changi Airport is now open! This canteen is quite hidden like the staff canteen at Terminal 2. Here, you can find local food at affordable prices, mostly below SGD 5. Some dishes are priced between SGD 5 to 10. Some stalls that you can find are roasted pork, fish ball noodle, chicken rice, Japanese food, mixed rice, dessert and drink stall. 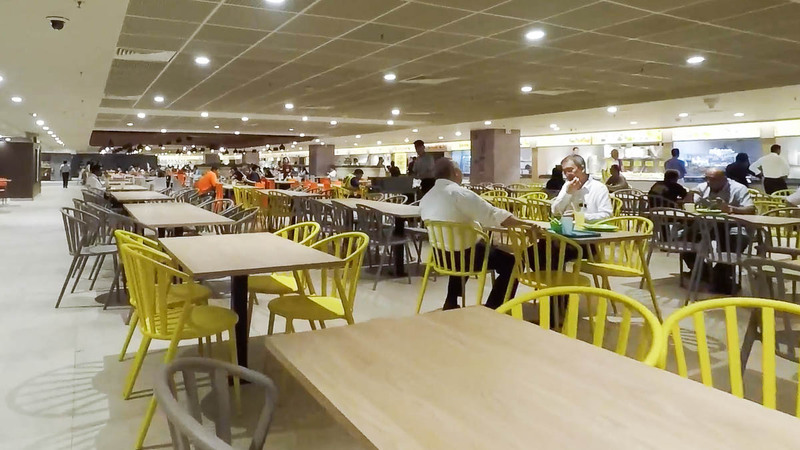 Here’s a video to show you how to find the hidden Canteen Staff at Terminal 1, Changi Airport, Singapore. There it is! You’ll see the staff canteen as soon as you come out from the lift. If you’re looking for cheap food and staff canteens are not open, I recommend that you go to Kopitiam at T3 Basement 2. Hi Eva, thanks for the info. For years we have been enjoying staff canteen at terminal 2 and so glad now that there’s also one at terminal 1. Hi Lulu! Yeah, I’m glad that Changi airport food is no longer expensive 😀 You can also try kopitiam at T3 and food emporium at T4!